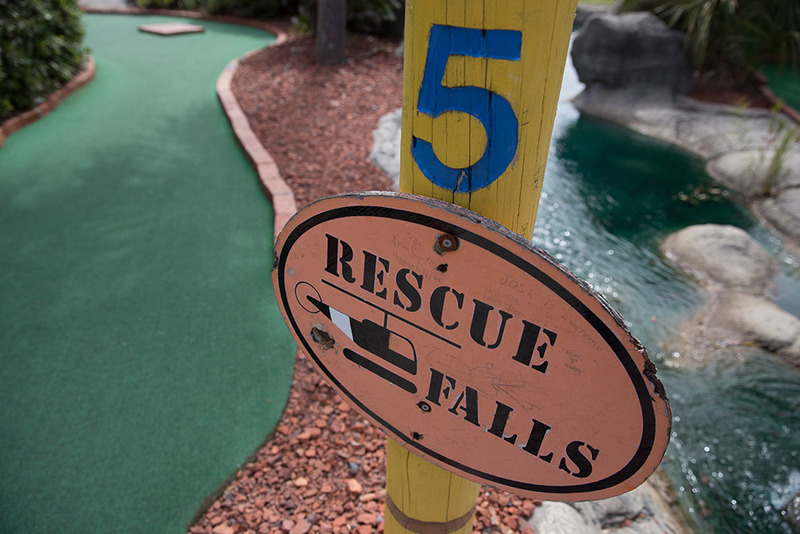 Rescue Falls is equally exciting to play. 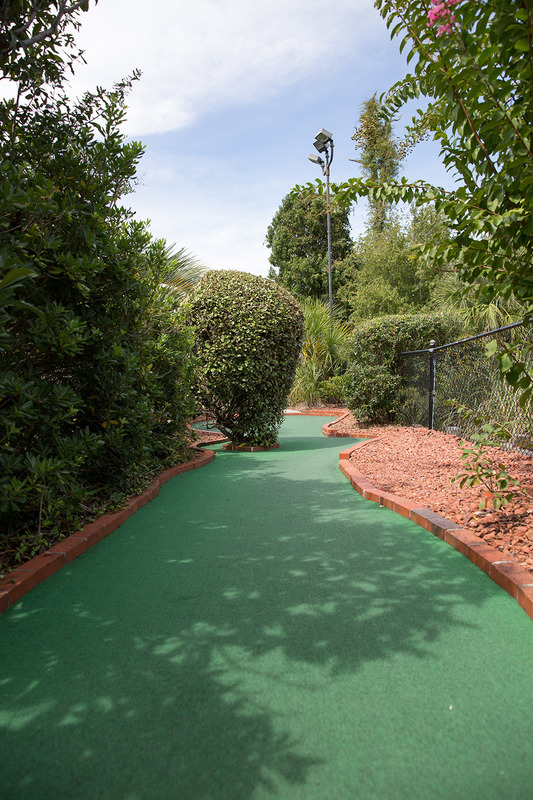 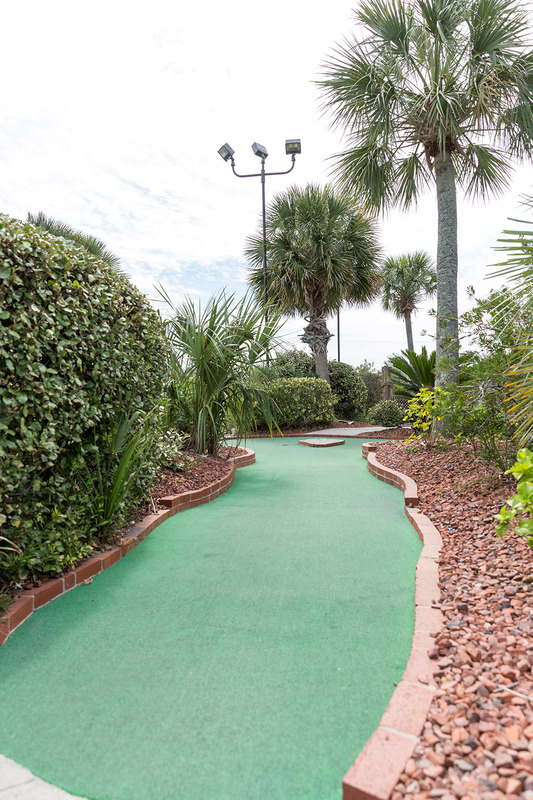 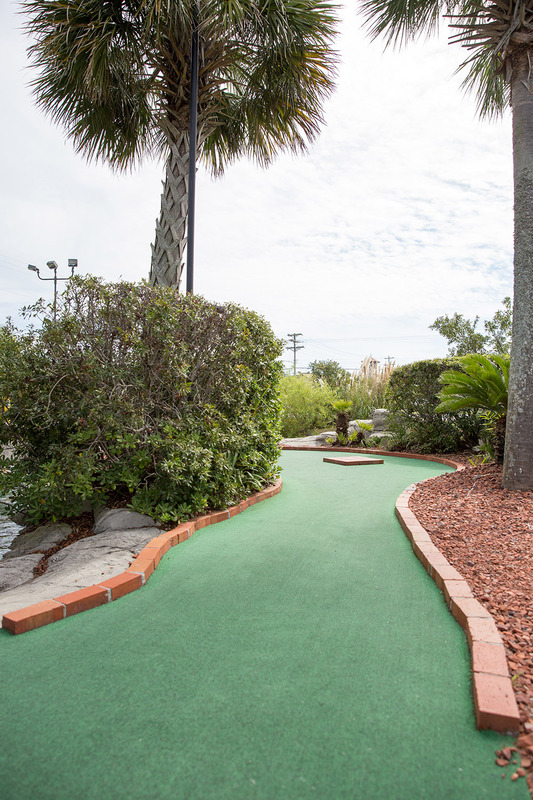 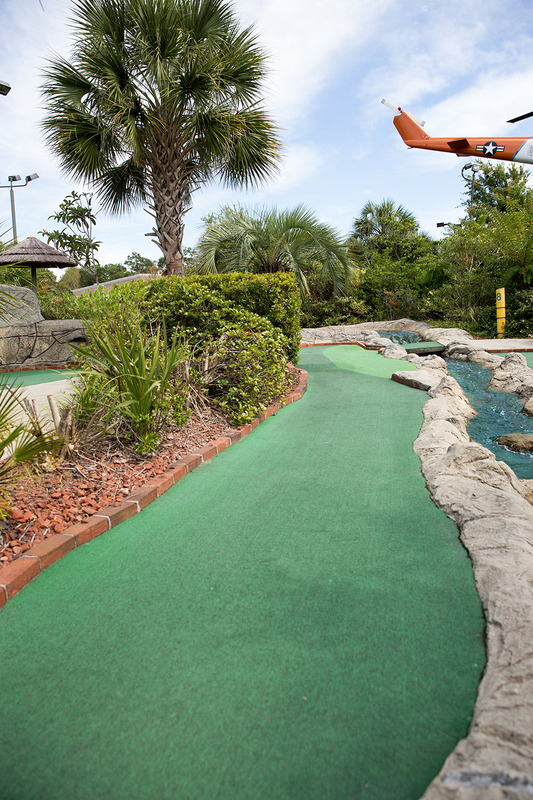 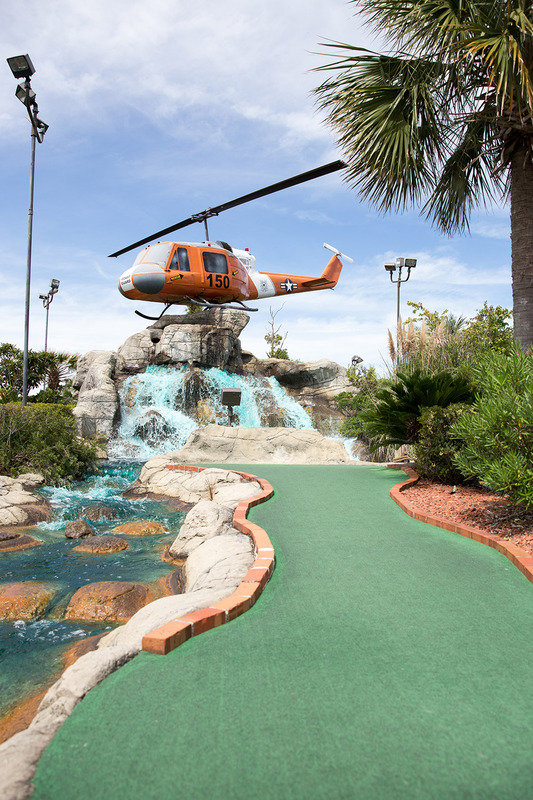 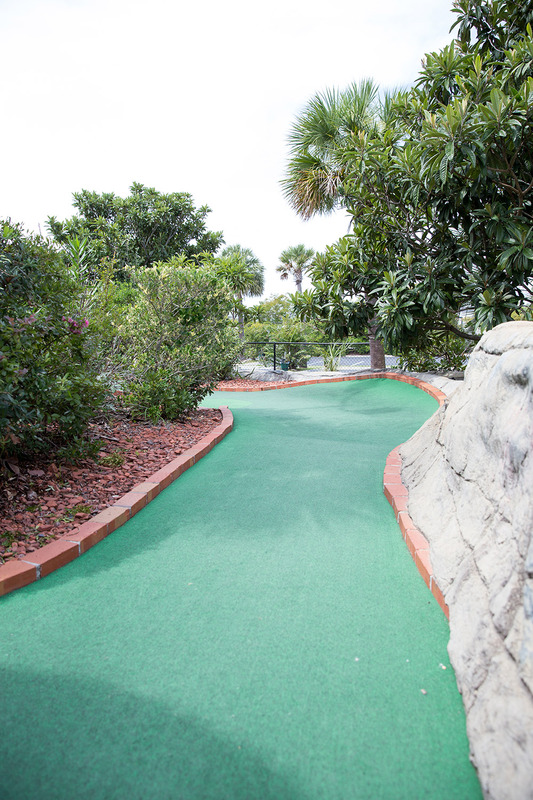 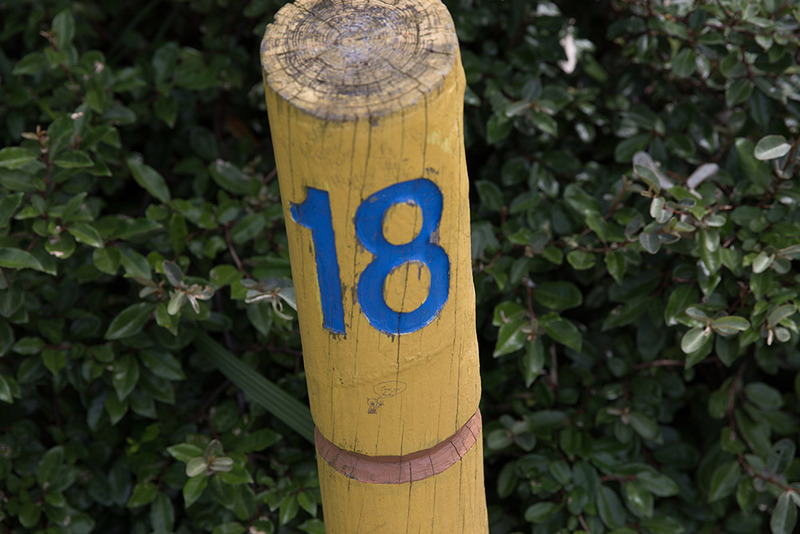 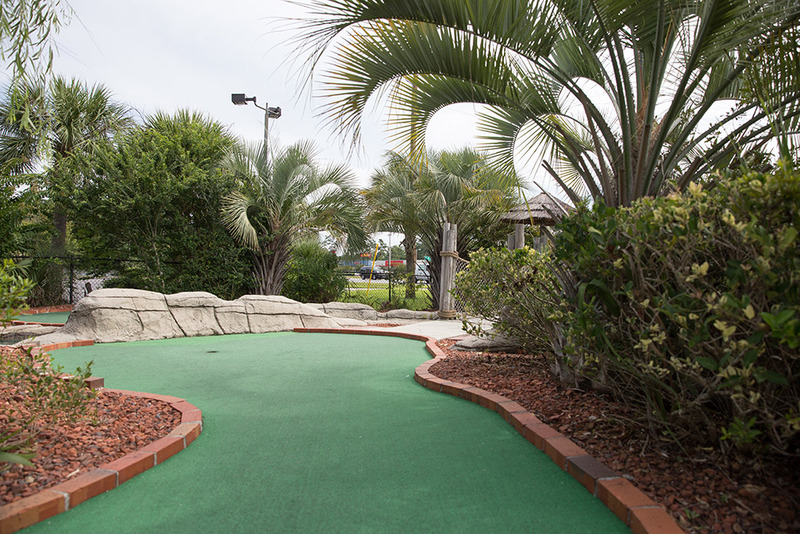 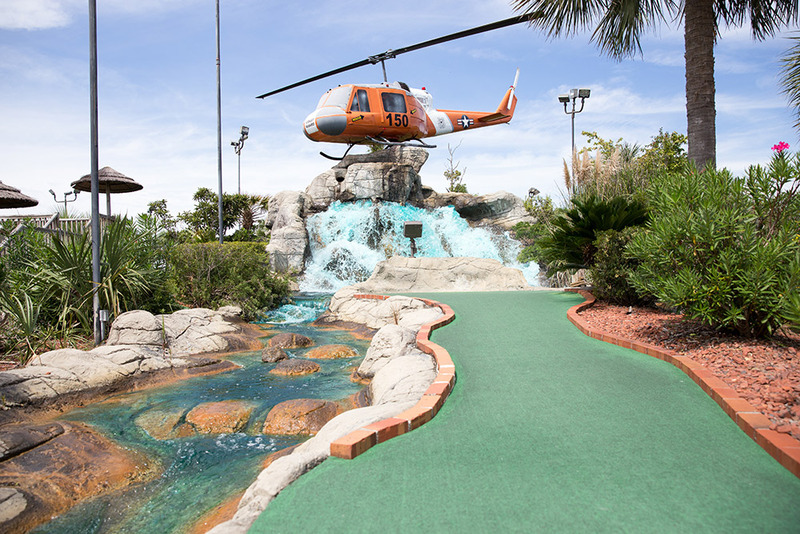 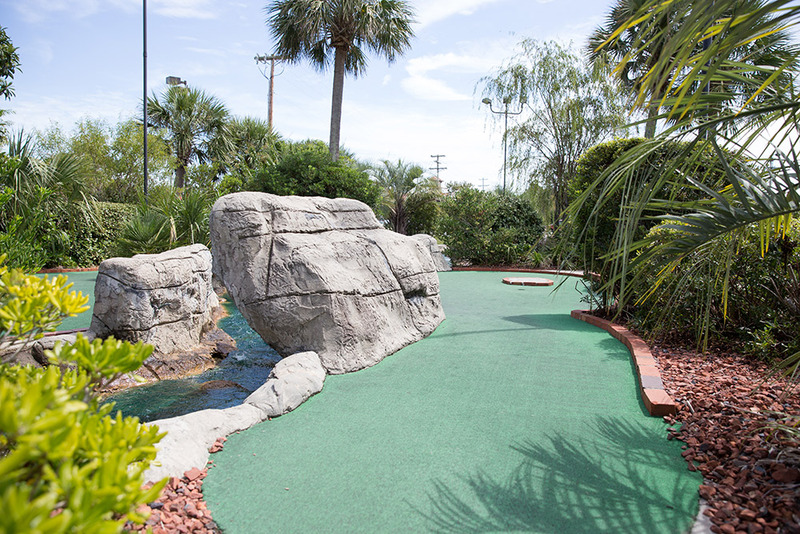 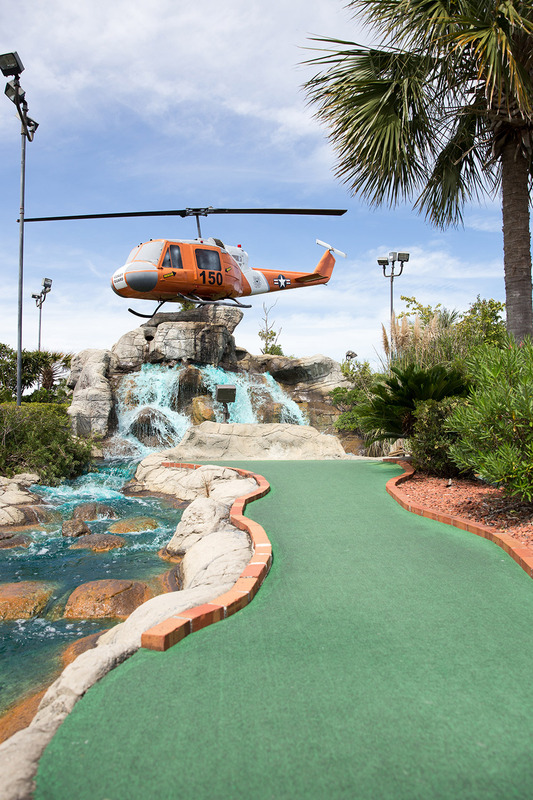 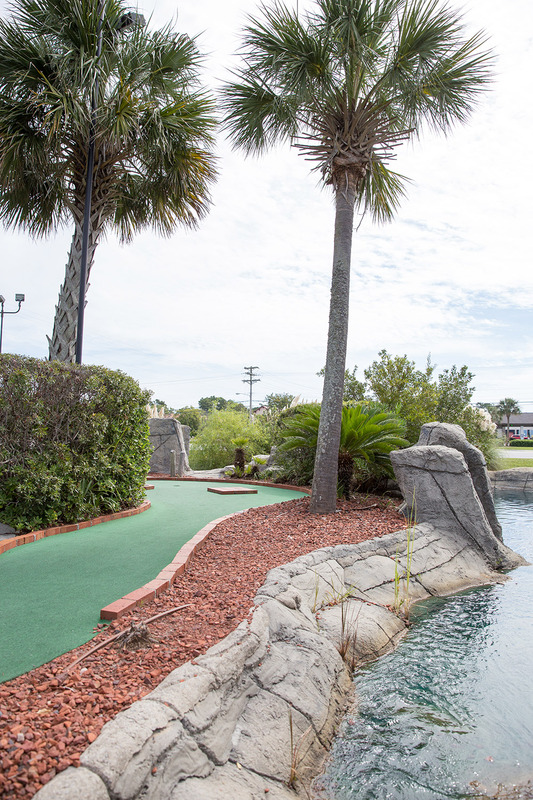 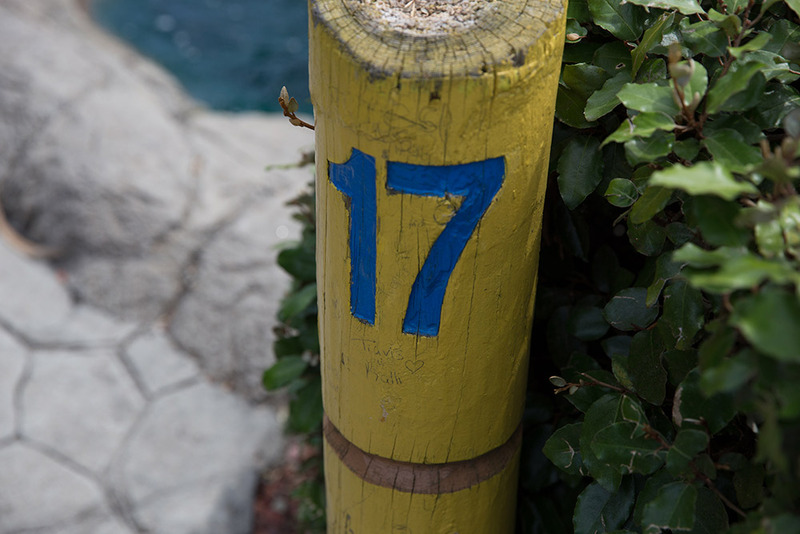 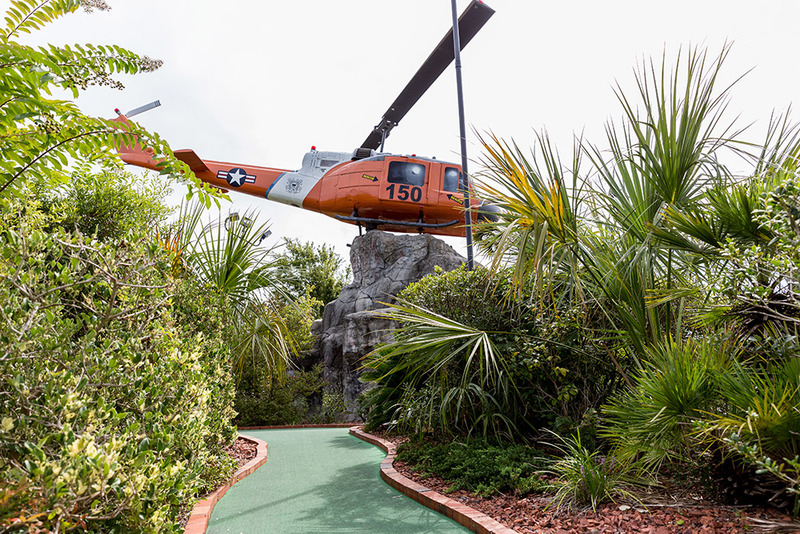 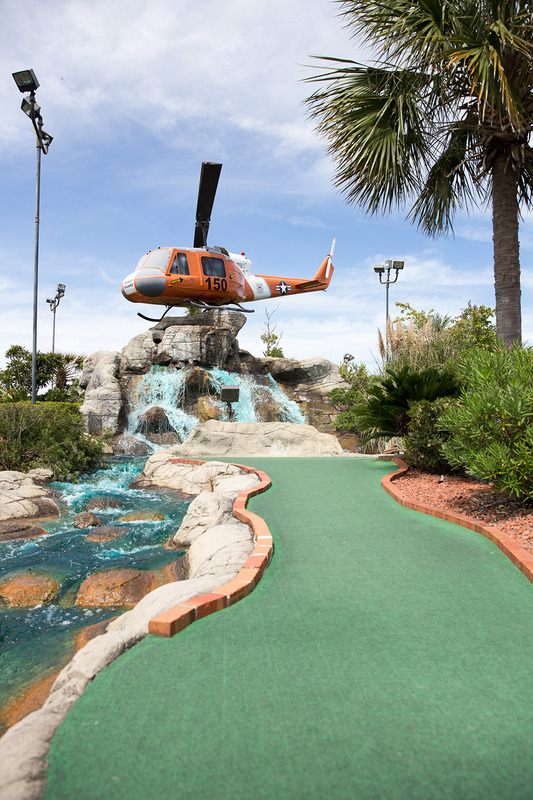 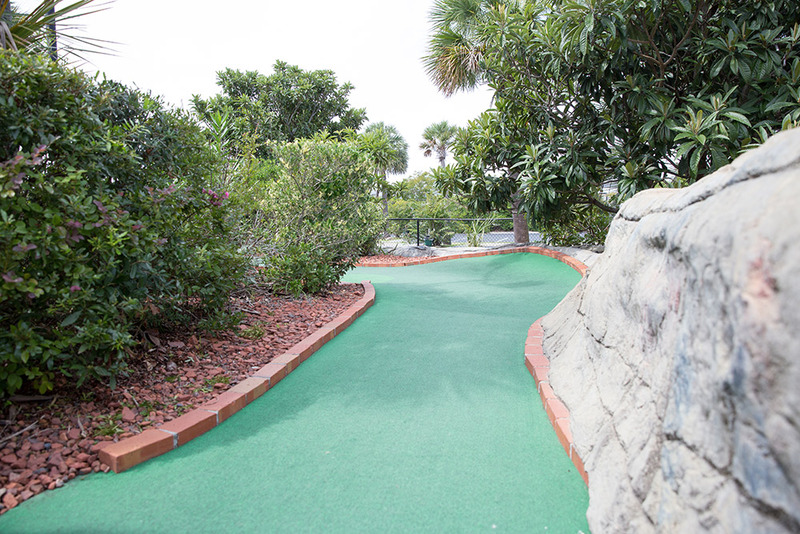 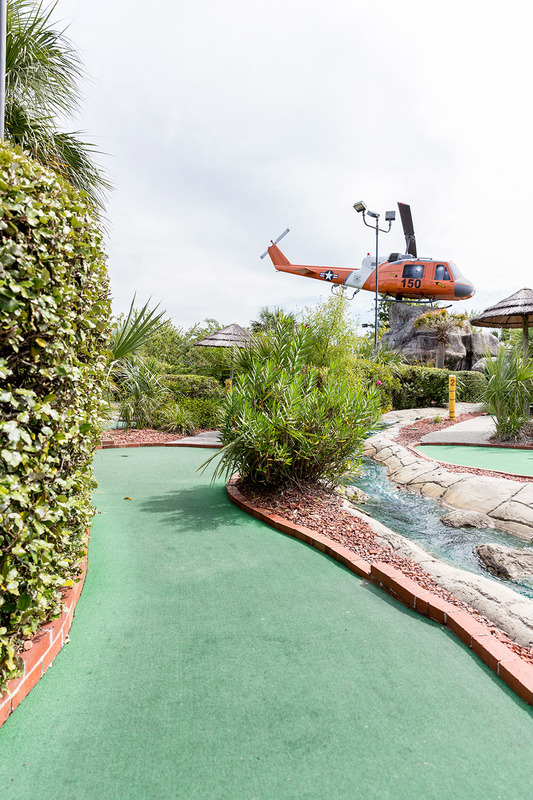 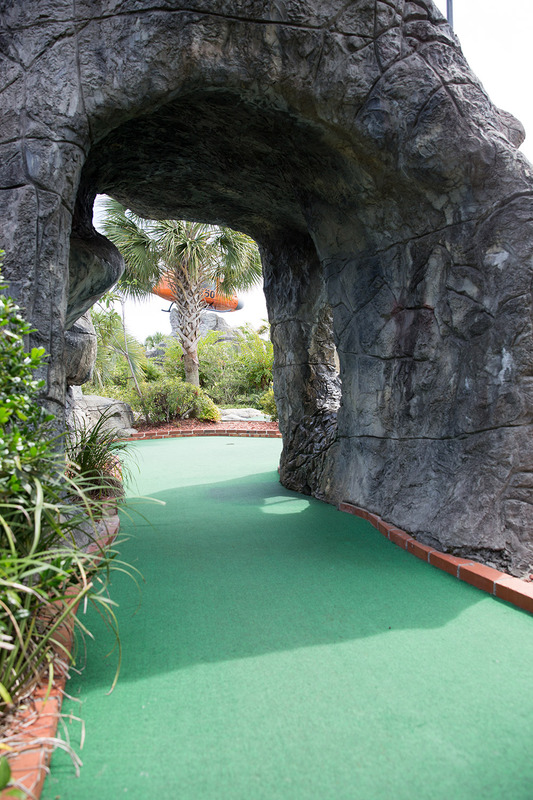 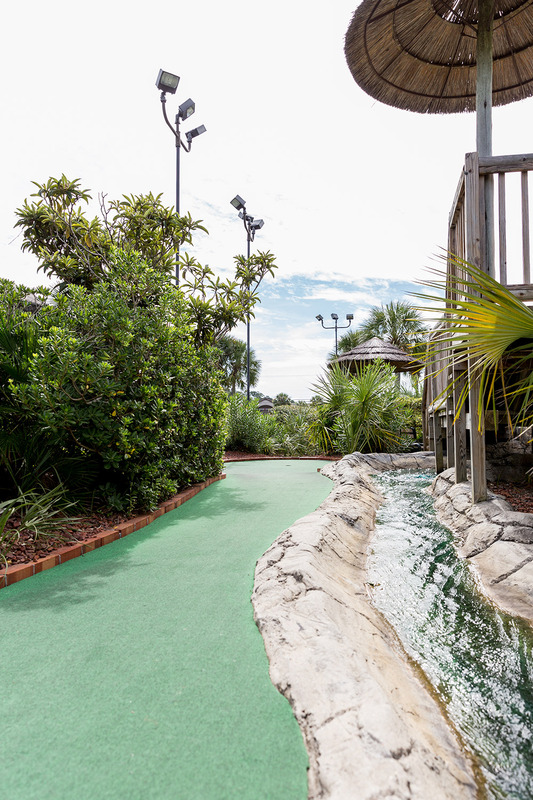 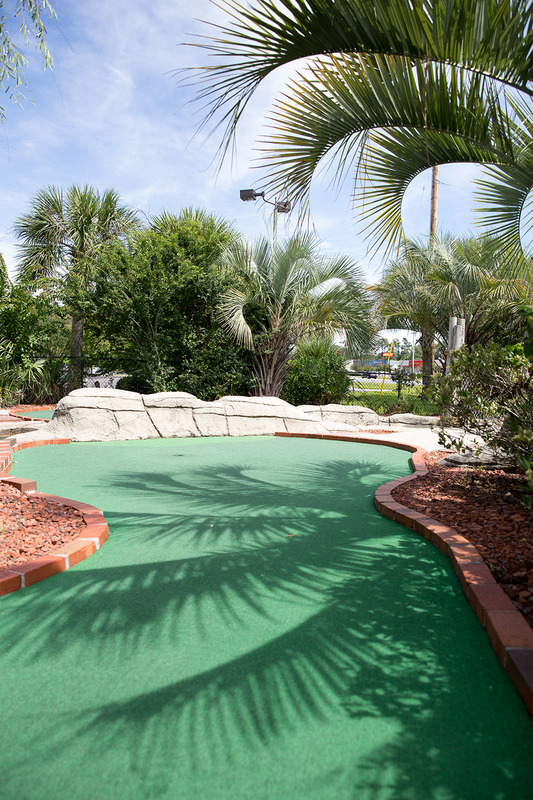 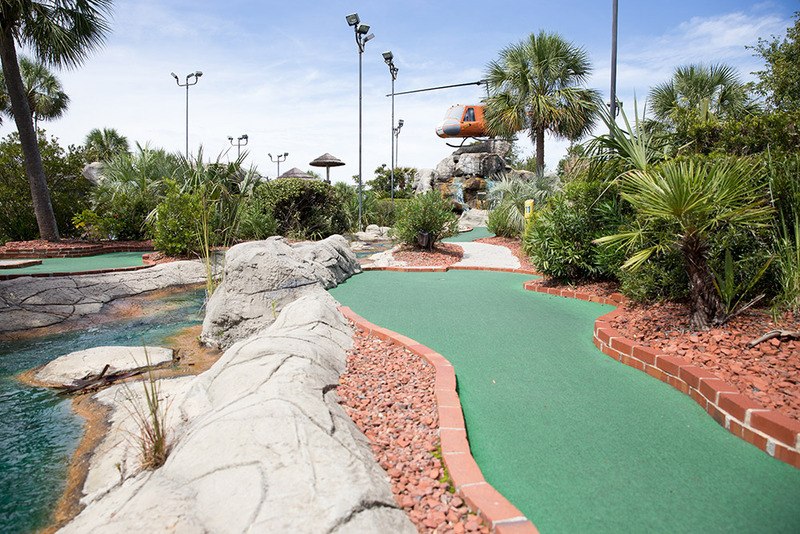 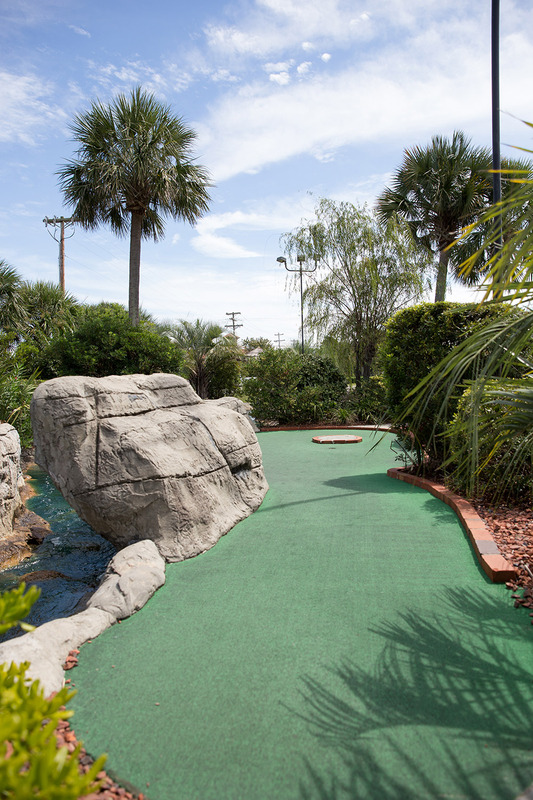 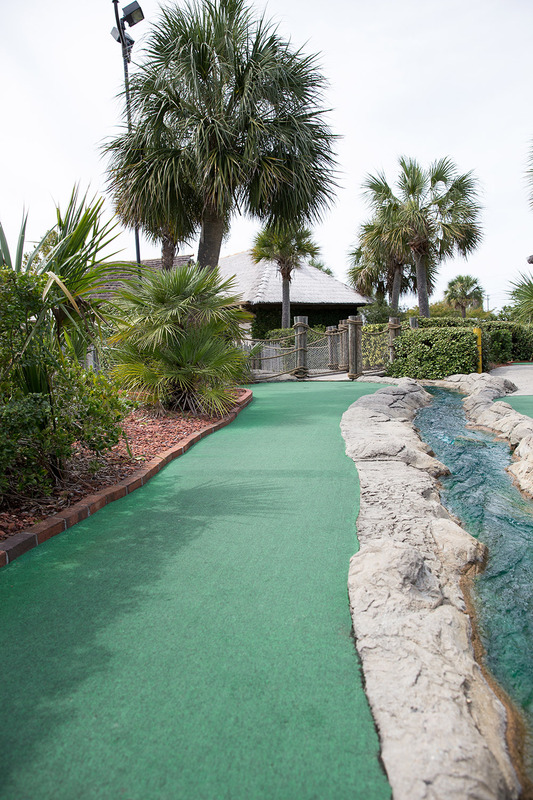 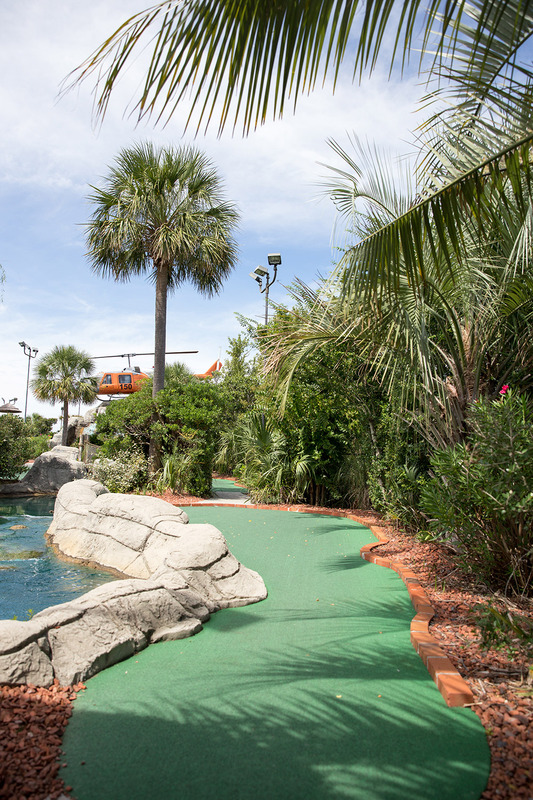 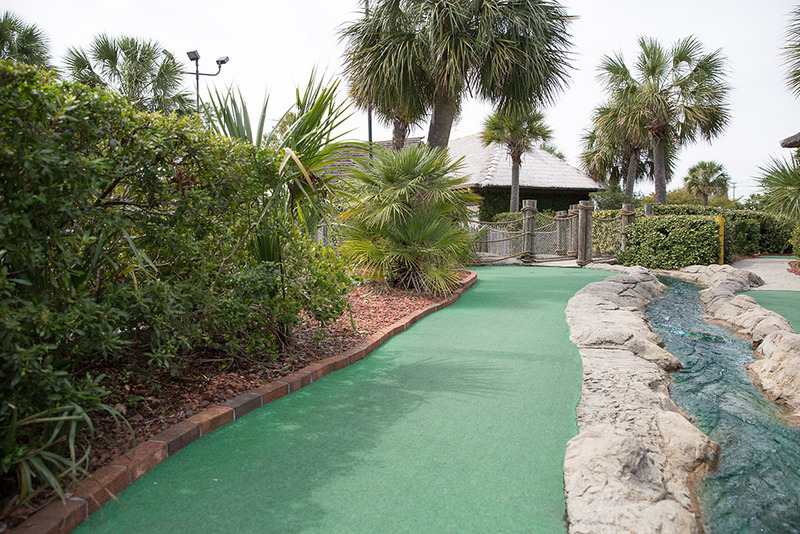 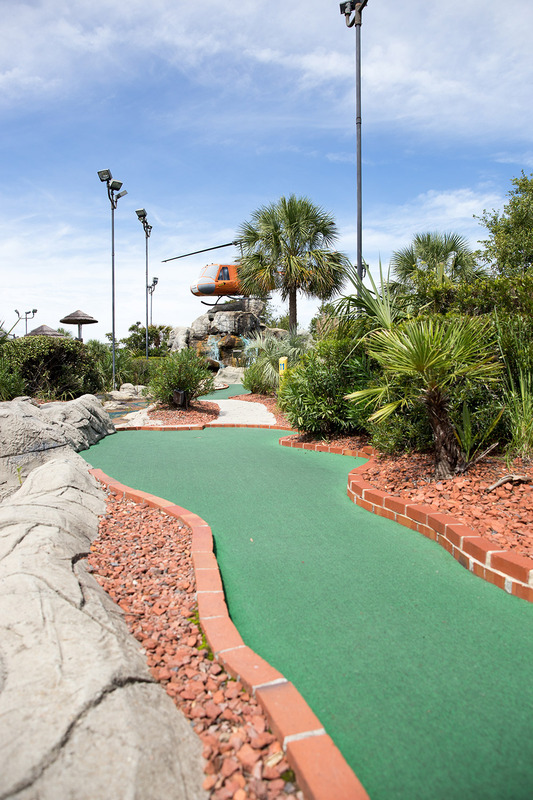 It features 18 holes of play that take you past the Falls – watch out for the waterfall, as the surging cascade of water tends to catch visitors off guard! 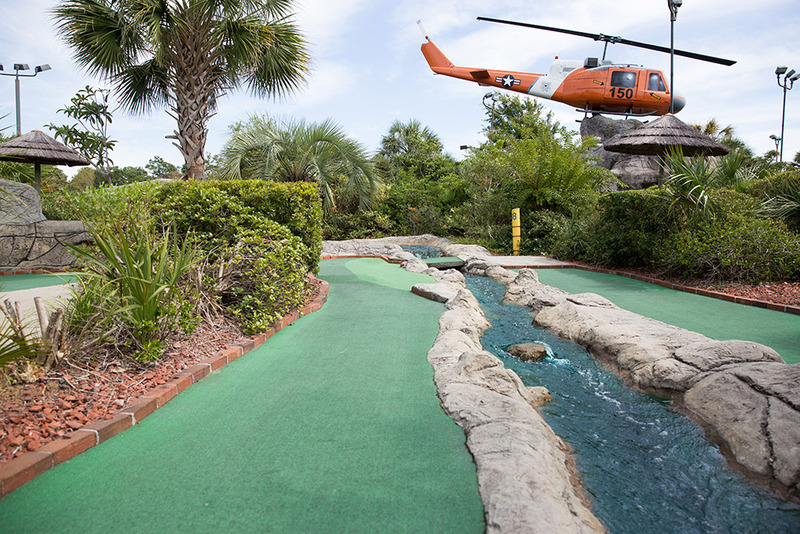 Rescue Falls features a real rescue Huey helicopter which has come to the aid of our stranded island visitors. 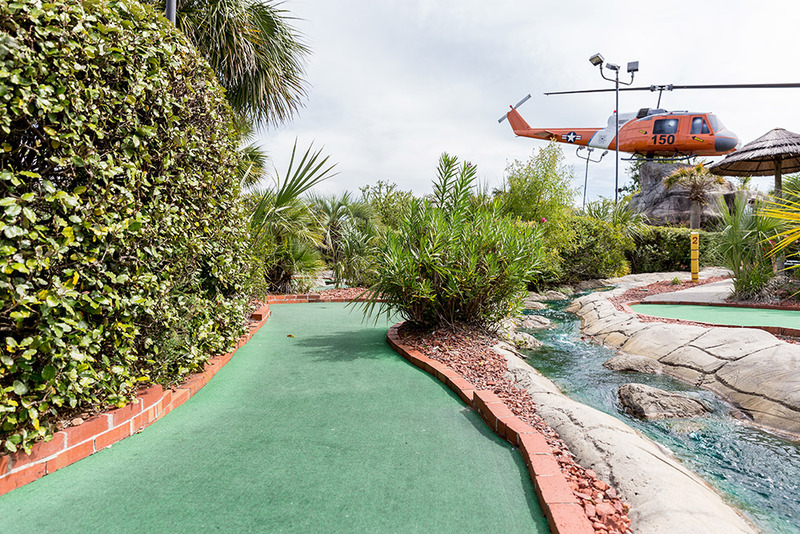 Although we can’t blame them for wanting to play “just one more round” before returning to civilization! 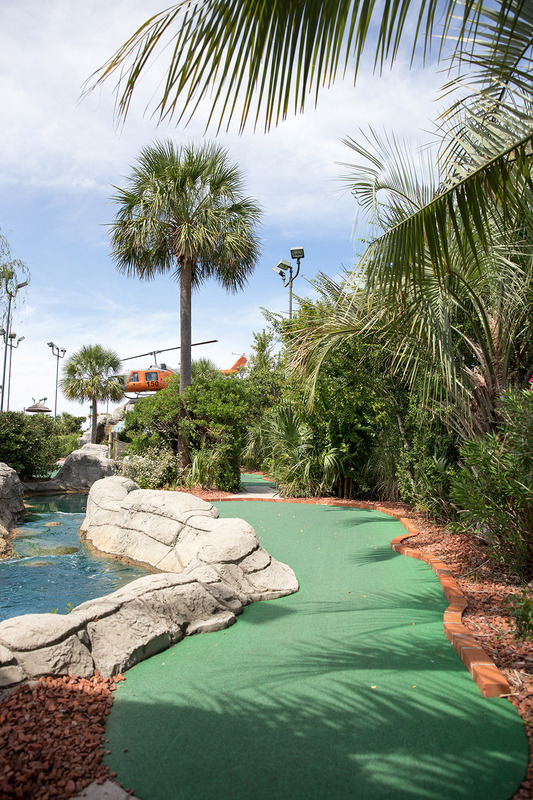 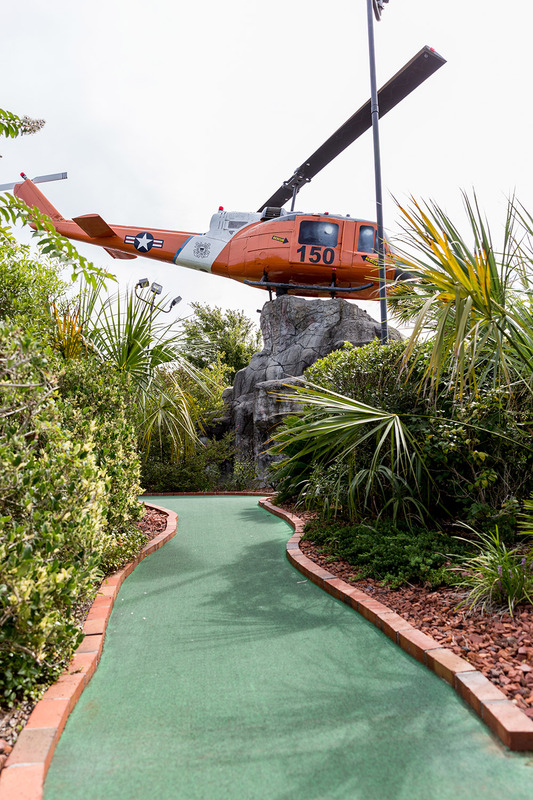 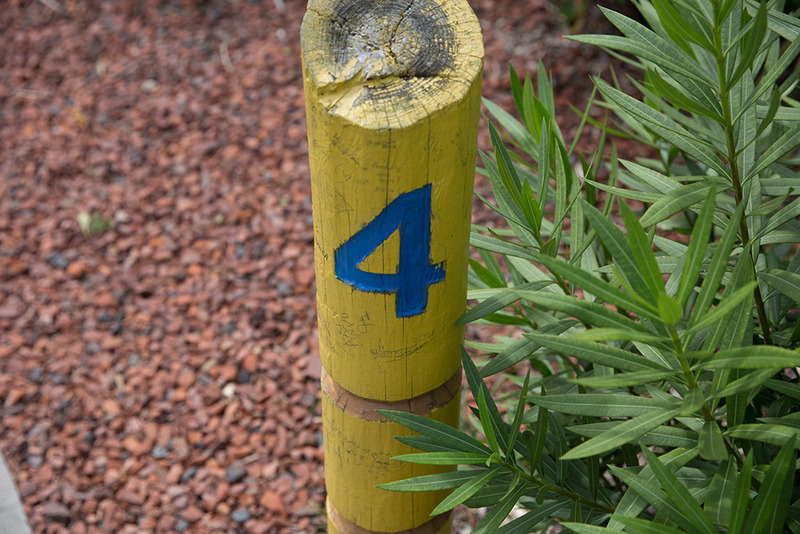 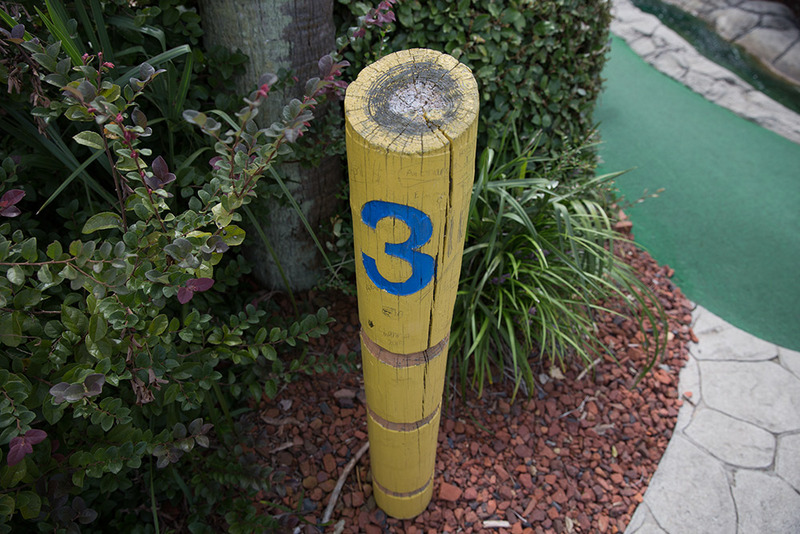 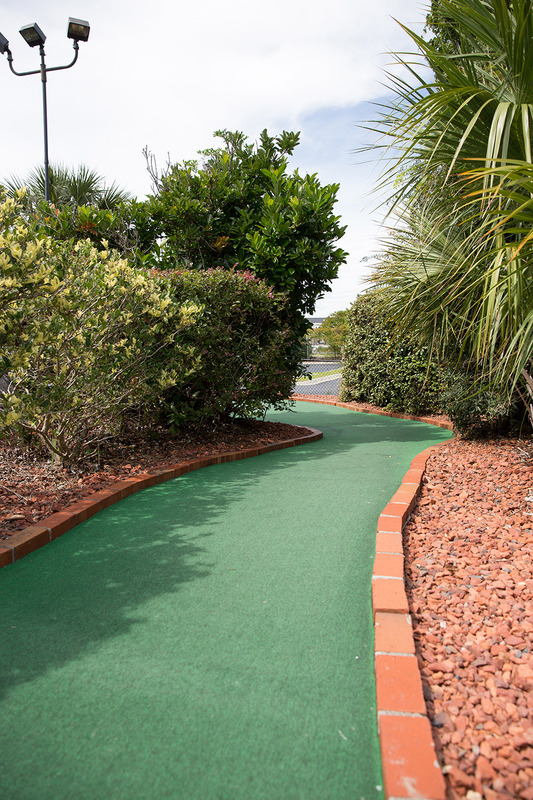 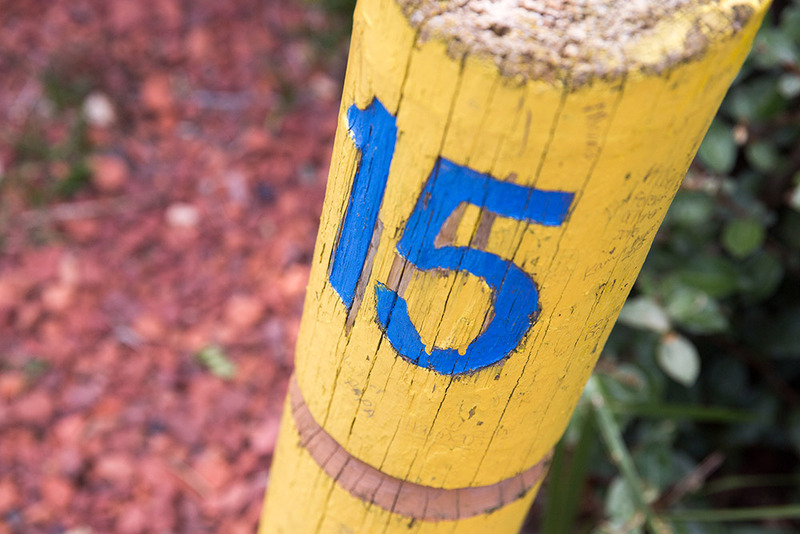 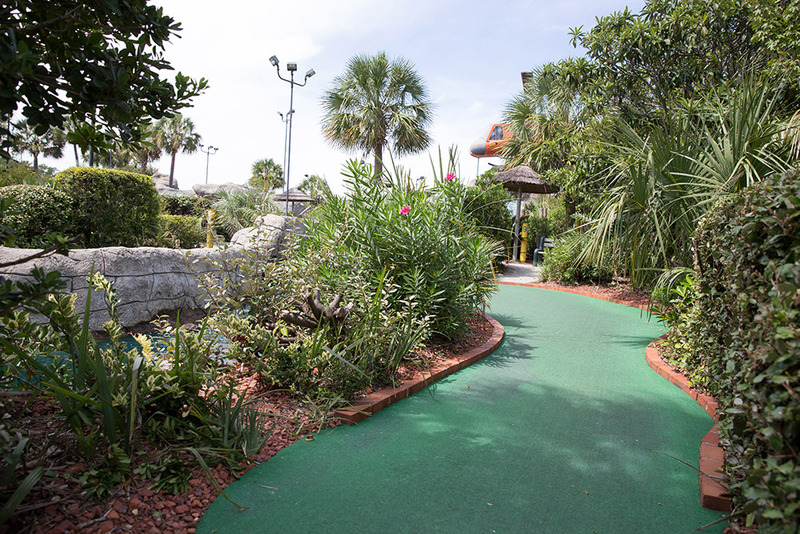 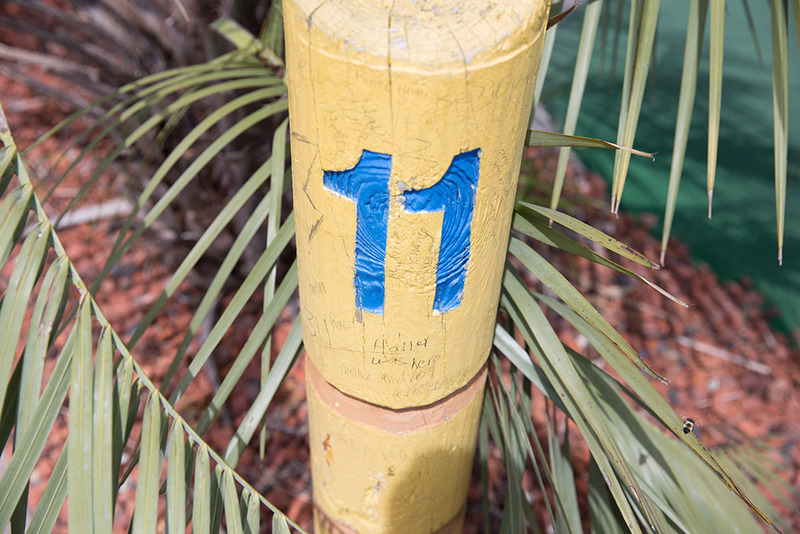 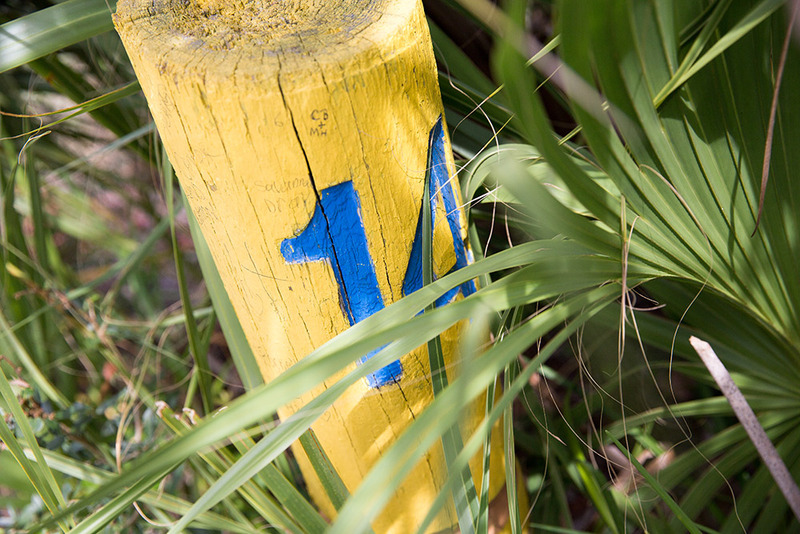 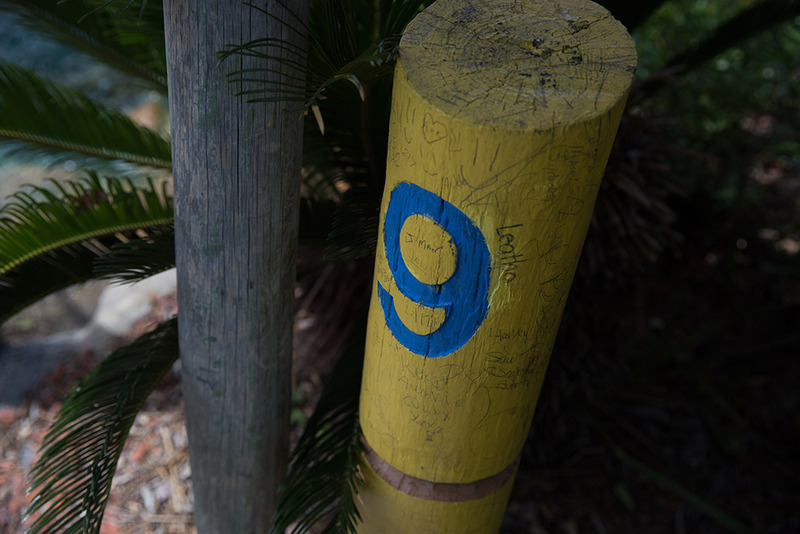 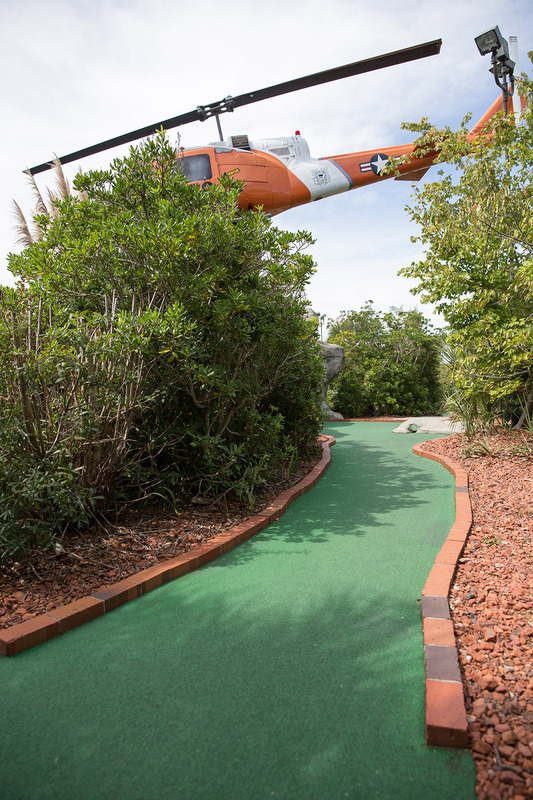 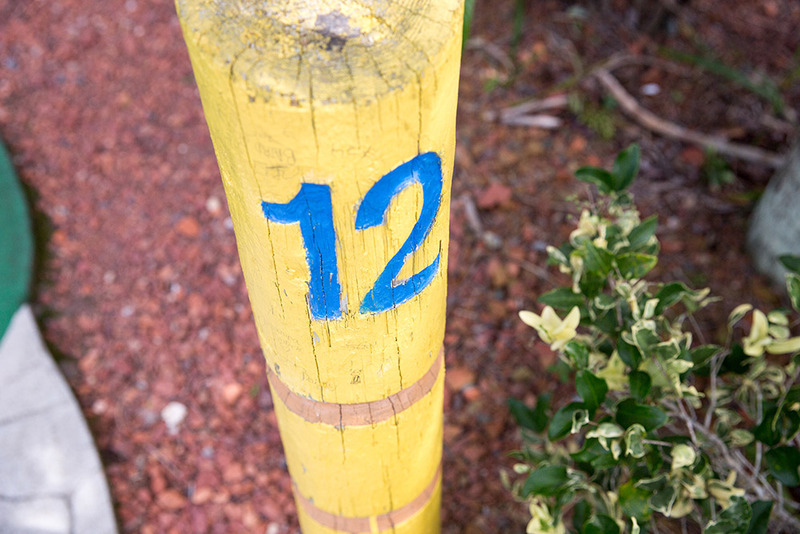 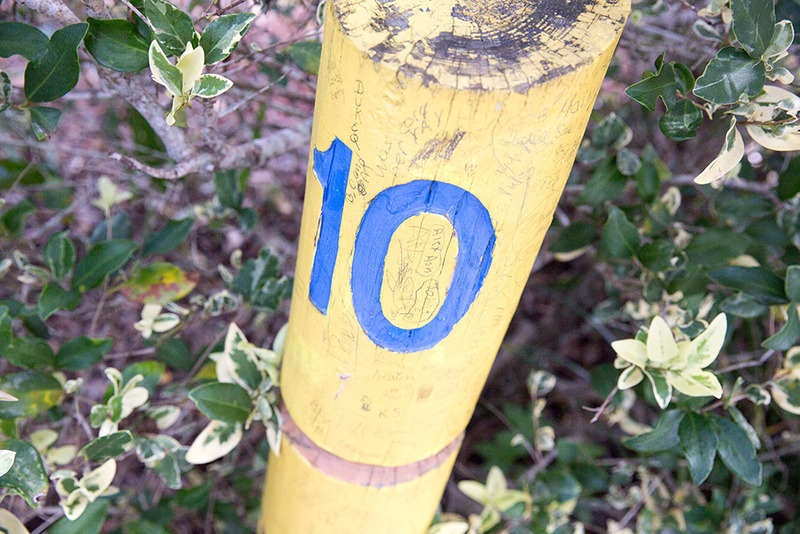 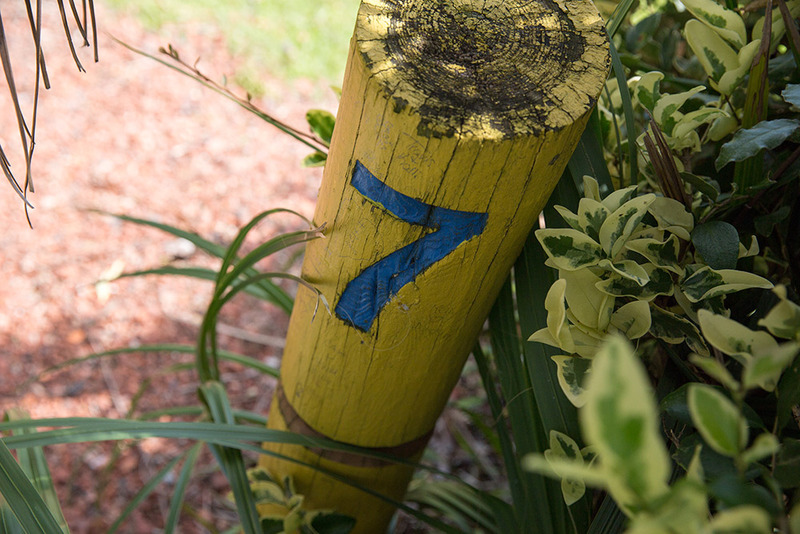 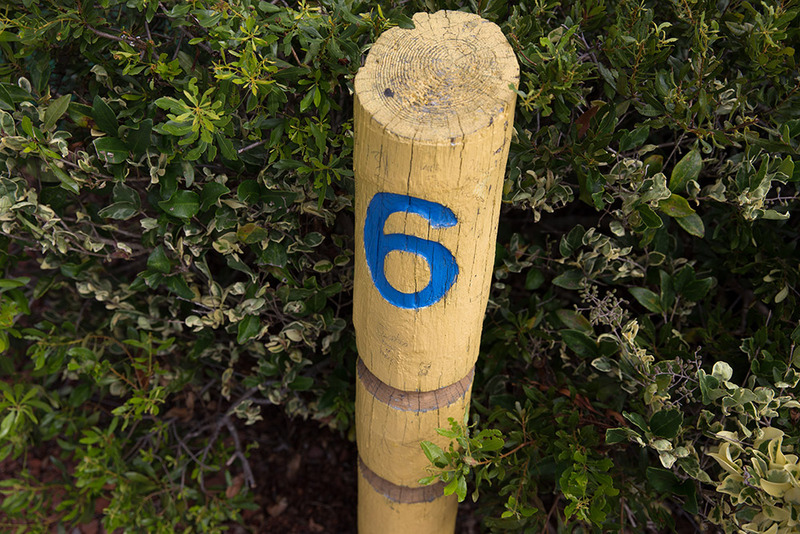 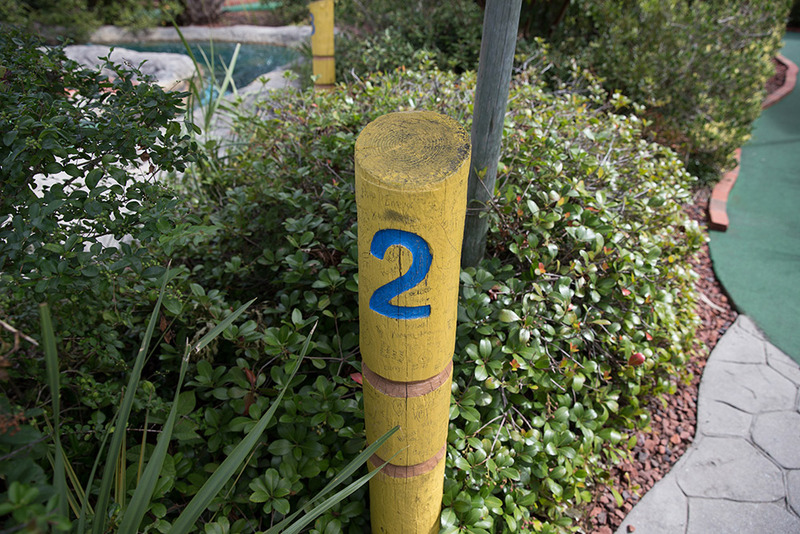 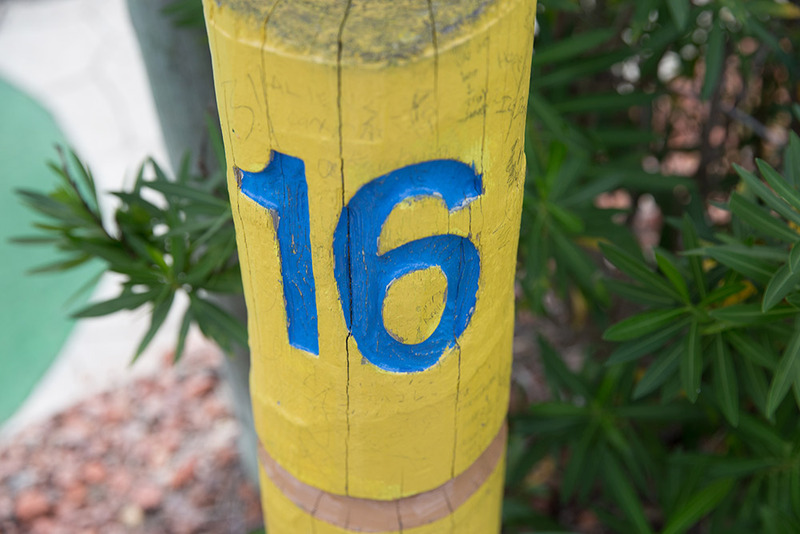 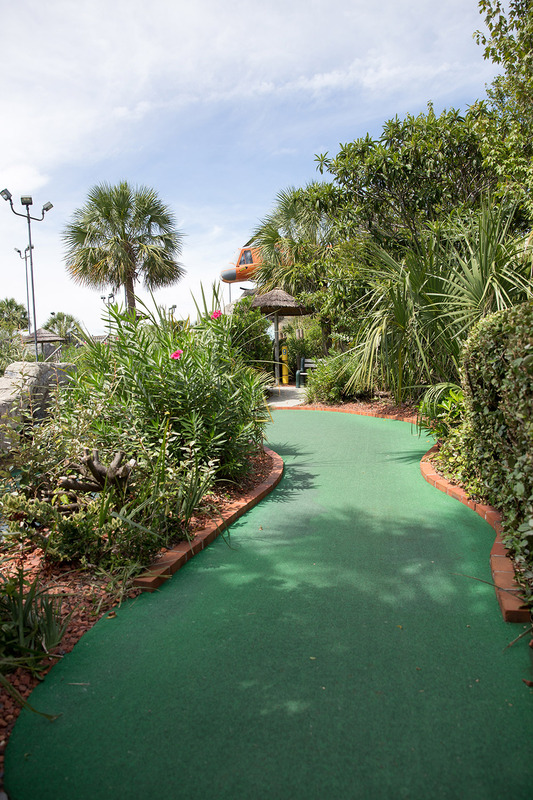 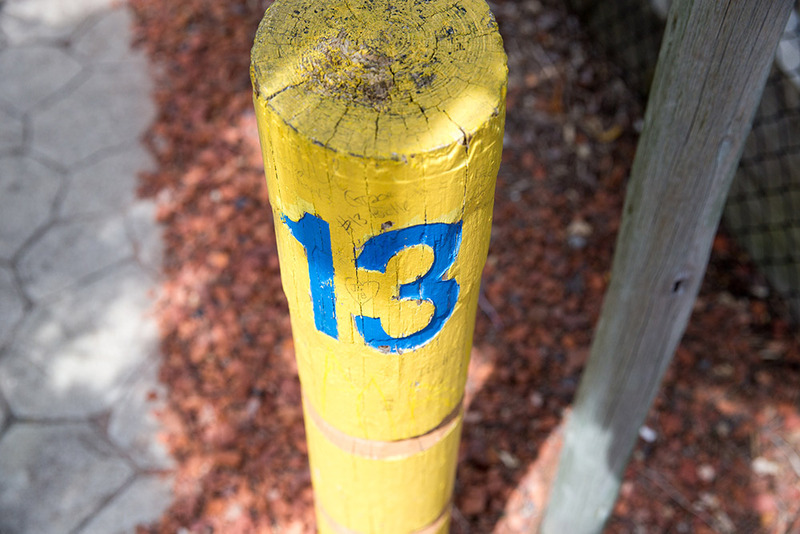 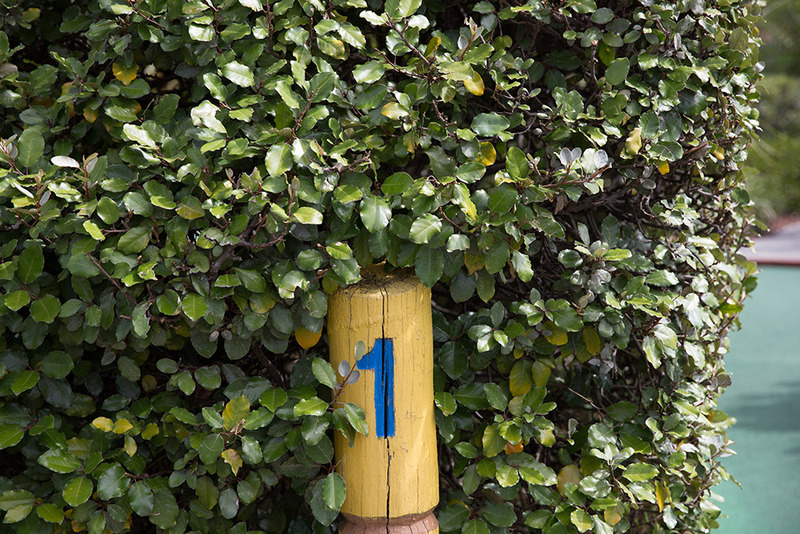 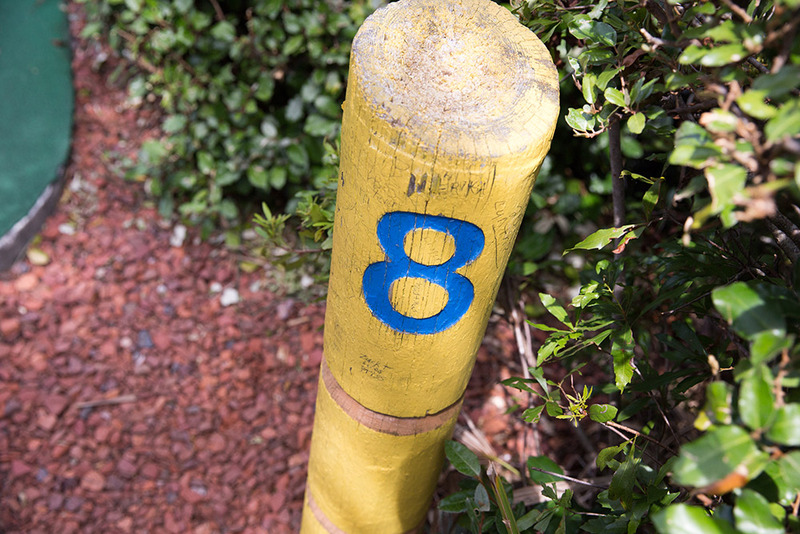 This mini golf course is a stroller friendly course for our non-walking friends.